Although I love the freedom that they bring, I’ve never found myself truly connecting with open-world gaming. I was one of the many under-age teenagers salivating at the prospect of getting GTA: San Andreas, but by the half-way point I found myself yearning for the more enclosed havoc of Vice City, and subsequently found GTA IV more fun precisely for the smaller and more self-contained environments. Alas, this is the best excuse I can muster for never diving into the Elder Scrolls series. Whoever recommended it would always cite the almost limitless gaming world and freedom of the engine that would enrapture them for hundreds of hours; a discouraging figure when my pile of shame grows by the day. 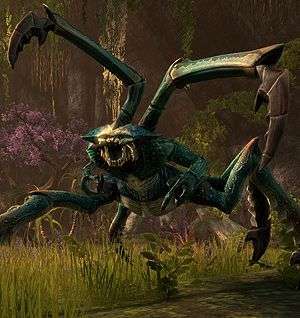 It’s probably because of this that the prospect of Elder Scrolls Online seems ever-daunting; a continent-spanning RPG with up to two-hundred players on-screen at any one time and non-stop content. After trying it out at E3 my biggest concern is how anyone is going to find time to play their own life. Encompassing the entire continent of Tamriel, set a thousand years before the events of the series’ latest epic Skyrim, Elder Scrolls Online has spent six years in development and will see a release Spring 2014. With that in mind, we were given the opportunity to try our hand at some of the early-level content, and were thrown into the shoes of a level five hero of choice and tasked with roaming the expanses on the trail of adventure. Despite the wide variety of classes on display and the infinite customisation combinations familiar to any Elder Scrolls fan, I opted for a preset Nord, knowing that more time tinkering would equal less time questing. Dropped into the region of Daggerfall, I was invited to invest the skill points I’d earned from ‘reaching’ level five. Focusing on combat-specific abilities, I proceeded to band with some fellow Tamrielians and hunted down a Bethesda-standard adventure. A dog is a man’s best friend, and so my journey truly began when I decided to follow one pining for help. Interaction prompted him to bound ahead in an attempt to introduce us to his former owner, who was now lying face down on a raised piece of land amidst the surrounding water. Unbeknownst to our canine companion, he had led us straight into an ambush, where we were suddenly set upon by an assassin hoping to silence us and add a few more notches to his kill post. He certainly would have been a formidable match were I on my Nord Jones, but with three of us to contend with he soon met his own bloody demise, leaving us to gather the clues, along with our own Scooby Doo, and deduce the motive for the murder. A note from the man’s body supplied our next destination, so we set off to solve the Elder Scrolls equivalent of a murder mystery, splitting up to search for clues throughout the town and not resting until we’d solved the matter at hand and thoroughly become meddling kids. Our investigation soon took us to a tavern, where we were once again teamed up in self-defence to take on some more strangers who wanted to see our case closed, permanently. As we were all opting to play as the same race and class, I wasn’t able to test out any nuances between the different set-ups at this early stage, but I did find the combat quite simple to get into the swing of. With movement mapped to the keyboard and the mouse handling the camera and sword-swinging, it was relatively easy to get accustomed to, and I soon found myself literally running rings around my enemies – an even easier task to accomplish as we out-numbered our aggressors by one, and they were too distracted by my allies to worry about attacking me at all. The current generation of both the Elder Scrolls and Fallout titles are notorious for their wide variety of odd glitches and bugs, and – though forgiveable considering the title is still in a pre-Beta state – I found myself victim to one of these as, when attempting to leave the building, I looked up towards the roof and saw some of the tavern’s patrons drinking around a floating table. This was spotted by a dev, and though the situation was rectified quickly (via the time-tested method of turning the demo off and on again) I found myself separated from my stalwart companions, and left to pick up the rest of the trail alone. Despite losing the backing of my allies, I’d soon blown the case wide open; it turned out that this was a conspiracy that went all the way to the top, specifically to the King’s throne, as someone was attempting to take it by force by deposing our fair ruler. To end this I was sent off to the dockyards to quell the uprising by subduing any would-be assassins hidden in the recently docked boats. For the most part, this extended to opening all of the boxes stored below-deck with my medieval letter-opener and examining the contents to see if they were empty, containing harmless refugees or murderous hit-men. For whatever reason, it was during this particular part of the quest that I found myself drawing an odd comparison to Bioware’s Knights of the Old Republic; something about the nature of this element of the quest, the combat and the way that the boxes crumbled apart to then slowly spawn their contents left me suddenly nostalgic for the seminal turn-of-the-millennium RPG. As the final foe appeared – conveniently informing me that the castle had already been stormed and that I was too late – and was quickly incapacitated, I made a dash for the King in the hopes that he was still relatively comfortable on the throne. Upon arrival, I was given both good and bad news to contend with; the good news was that the King was alive and unharmed, but the bad news was that would rapidly prove to be untrue if I didn’t get my finger out and take down my aggressors. 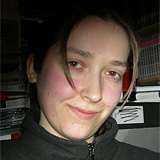 Without my former allies to assist me, this is when I would find out just how difficult it could be when going it alone, and though I managed to eventually see off all comers I didn’t manage to do so without losing my own life several times in the process. When this happens your avatar becomes a ghostly spectre and allowed to re-spawn again shortly after leaving the combat arena, letting you gain a brief respite from the action, rethink your strategy and try again. This was particularly apt advice when forced to square up against the leader of these invading forces, who was poised to eliminate Daggerfall’s fair ruler if I was unable to stop him. Taking several stabs at the chance to save the King using my patented method of running round in circles and wildly swinging my sword found me repeatedly vanquished at the hands of the rebel leader, especially as he prevented any opportunity to run away by chasing me down and cutting me down to size. As I was about to give up, I was reminded of the abilities that I’d been given at the start of the demo, added them to the hot-key bar and went back for one dance with my repetitive death. Now adorned with several skills and abilities, including a defensive spell that surrounded my avatar with a rocky coating and another that could stun an enemy and leave them on the floor long enough to recover or deliver a few pot-shots, the battle was now much easier to take on solo. These spells were also particularly well-balanced, as they were timed to be used long enough to turn the tide in your favour, but not to the point that it gave you a definitive advantage. 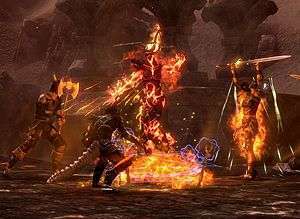 As well as this, the cool-down on each of these powers was paced so that you’d have to fight enough of the battle on an even playing field before they could used again, allowing the combat to feel tense and strategic without ever becoming too easy. With the master assassin breathing his last and the King free to rule in peace, I was free to venture off into the world of Tamriel, shortly before running out of time and forced to move on, completely unaware that the designated time-limit we were allowed had completely run its course. 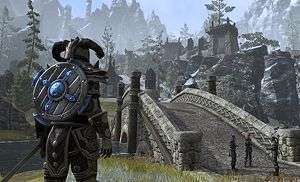 It’s easy to say that time just flew by, but by the end of the demo I’d found myself so engrossed that it became easy to see why people find themselves sinking endless hours into the world of Elder Scrolls. Admittedly, it didn’t ensnare me fully to the point where I’m counting down the days until I can play again, I did find that it did more than enough to tempt me into delving into the previous instalments. From my taste at E3, I’d consider myself cautiously optimistic; I’m optimistic that it’s going to be a thrilling experience for fans of the series, but I’m cautious of the fact that if it pulls me in there’s a very real chance I’ll never be able to leave the house again. I’ve been a fan of the series since Morrowind and am seriously looking forward to this, even though I’ve never played an MMO in my life.